Jobs for 16-year-olds can be found at local businesses; however, many teens may opt for self-employment when they are ready to start earning money. Using a little creativity may lead to a more satisfying or lucrative employment opportunity because there are plenty of things you can do to earn spending money, save for college, or contribute to your family's expenses. Traditional teen jobs are good choices for those teens who are ready to join the workforce. Some of the most popular positions are listed below. Many grocery stores have jobs for 16-year-olds who are willing to bag groceries and provide customer service. This is a job worth considering if you like dealing with people. Some of these stores may also hire 16-year-olds for cashier and stocker positions. You have to check with the specific company in which you are interested. The grocery stores Publix and H-E-B offer positions to 16-year-olds. Some companies are willing to trust 16-year-olds with cashier duties. These types of jobs can be found at department stores, large retailers such as Wal-Mart or at mall stores. You should be comfortable with basic math before applying for these jobs. Macy's, Target, and JCPenney all can hire 16-year-olds for cashier or stocker positions; this will depend on the specific store branch, state labor laws, and the level of maturity of the teenager. Restaurants are often places that hire 16 or 17 year olds. Many teens start their working years in restaurants, often at fast food establishments. At a restaurant such as McDonald's or Subway, you can work as a cashier or food preparer. At fancier restaurants, you may work as a bus person who cleans tables or as a dishwasher. Sometimes a 16-year-old can become a waiter or waitress, but often you need to be a few years older to get these jobs. For those who want to know how businesses really work, consider helping a small-business owner. The advantage of working at a small company is that you may have a greater variety of job duties and opportunities to learn while earning money. Earning the trust and respect of the owner can lead to more responsibilities and opportunities over time. Search for local companies to find potential opportunities. Using word of mouth may also alert you to job opportunities in town. A library offers a great working environment for teens. It is clean, indoors and relatively low-stress. You won't have much social interaction, though sometimes patrons will ask you for assistance. If you enjoy books and are organized, this job is great if you can find one. Ask your neighborhood library for information on how to apply the next time you visit. You can also check online for possible library jobs. 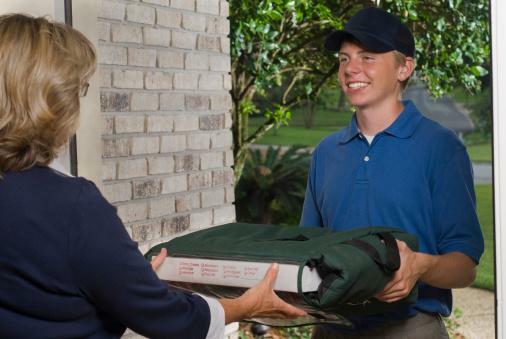 If you live in a city that allows you to get your driver's license at age 16, you can apply for a food delivery job. This job would allow you to work in the evenings and on weekends. You also should be able to get tips for your service. Most national chains require that you are 18 before you can get a driving job. However, local eateries may allow 16-year-olds to deliver. Visit some local restaurants to find out if they are hiring. If you have basic computer skills and like working in an office, you can often find a part-time job as a data clerk. Many offices may be need clerks like banks, medical offices, accounting firms, or other small businesses. For each of these jobs, you need some visibility to get started. First, you should spread the word among your classmates, fellow church members, or neighbors. You may also be able to post an ad online or post flyers at the grocery store or church. To be safe, you should allow your parents to help you screen potential clients. Many teens earn some summer spending money by mowing lawns and performing gardening tasks. If you can supply your own equipment you may be able to get more work. Try to line up clients before summer starts to have a head start on the competition. If you are a good student who enjoys helping people, you might be able to make some money as a tutor. The most common subjects teens need help with are math, science, English and foreign languages. Be sure to screen your clients - your parents may need to help you make sure that potential clients are who they say they are. If you like dogs, being a dog walker may be just the right job for you. Let people in your neighborhood know that you are seeking opportunities to earn extra money by providing this type of pet care. If you are reliable and trustworthy, you may be able to obtain some clients who will let you walk their dog daily and others who will turn to your services when they leave on vacation. If you do a good job, you will likely attract additional customers through referrals. Washing cars is another traditional summer job for 16-year-olds, although it can easily become an ongoing business venture for teens. Let everyone in your neighborhood know that you are willing and able to wash cars year round to earn some extra money. Babysitting is one of the easier jobs for teenagers to obtain. All you need is a good reputation, reliability, availability, and possibly a parent who will verify your maturity. It can be a good way to make extra money while not being tied down to a weekly job schedule. If you play an instrument, you may be able to offer lessons to both children and adults. Contact interested people through your school or church. Where you teach the lessons depends on what type of instrument you play; consider trying to set up a relationship with the school or church to use their facilities if you need a place to teach. With the hectic pace of our lives, there are probably many people who would like to get some effective assistance. If you are responsible and enjoy running errands, doing housework, or other odd tasks, you might find work as a personal assistant. Place flyers on the wealthier parts of town or use word of mouth to get your name out there. Again, screen the family carefully before accepting the job. If you are already spending every free moment on your computer, why not turn your skills into money? Many companies and individuals have a need to create or enhance their websites. Start by creating your own website to advertise your skills. Then, whenever you come across a website that could use your services, make contact and sell yourself and your ideas. If you have a way with words and are knowledgeable about a topic, you can make money blogging or writing. Consider joining a blogging network that will offer either a guaranteed per-post wage or a share of advertising revenue. Be sure to review the guidelines closely before you join a revenue sharing blog site, as some require contributors to be 18 years of age or older. If you prefer to have more control and earn all the advertising revenue, then create your own blog on Blogger.com or WordPress.com and work for yourself. You can sign up for AdSense or promote products on your site. You may have to have your parent sign up for the advertising accounts because you are not yet 18. Many senior citizens find it hard to get around, especially in inclement weather. Provide company to lonely seniors by dropping in to play cards or board games once a week. Help a group of senior friends get together by driving them to and from a gathering place to play games or to and from events for seniors held by local organizations. Look for work with your grandparents and their friends or check with local senior citizen agencies to advertise your skills. Head out to thrift stores and yard sales to find items you could fix or clean up then resell. Join groups on Facebook or create an account on a resale site like eBay to sell your repurposed goods. Look for items with mass appeal that won't take too long to fix up and you can buy for super cheap. Small furniture pieces and old picture or window frames are easy to clean, paint, and even redesign to create fun, functional home décor items. If you're more artistic, look for pieces you can use to make unique found art. Some kids and teens make a living with their YouTube channel. Once you establish a following you can sign up for an online advertising tool to make money from your channel or look for paid sponsors. If you get a large enough following and have a unique platform you could go on to get paid for public appearances. Start by checking out what teen YouTubers are the most successful. Then come up with an original idea that will appeal to a wide audience. Plan your videos in advance for a more professional feel and get the word out about your new venture. You may not want to work all year round; perhaps working during the summer or Christmas breaks could provide you with enough spending money. There are several potential seasonal positions that a 16-year-old may be able to get. Wrapping Christmas gifts can be a good way to earn some extra money during winter vacation. Most of these jobs are at department stores or in mall kiosks. Start looking for opportunities early in the fall, as these seasonal jobs are often filled well in advance of the holiday season. A fun summer job could be working at an amusement park like Six Flags or SeaWorld. You can work at the ticket booth, at a concession stand, or even as an entertainer at the park. There are several positions that hotels may hire a 16-year-old for - especially during the busy season. In warm locations, the busy season may be summer but at ski resorts, this could be in winter. Bellboy or front desk worker are common positions that may be available in both areas. The hotel restaurant or gift shop may also have several positions open. Many hotels say you have to be 18 years old but if you inquire with the manager, you may find out that there are indeed positions for which you qualify. Check with the hotel well before the busy season starts to get an application and gauge availability of positions. Do you know how to swim and rescue others? 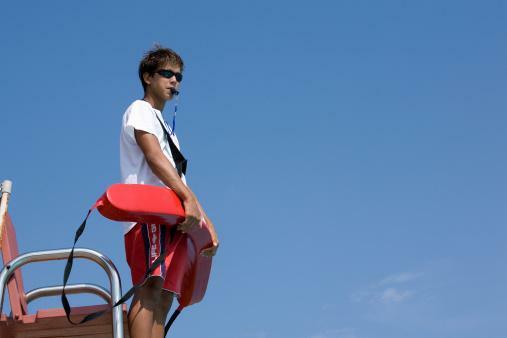 You may be able to put this to use to get certified as a lifeguard during the summer. You will have to deal with rambunctious kids and be able to assert your authority to maintain control of the situation at the pool. This is usually a seasonal job; however, if you find a job at an indoor pool or in a temperate climate, the job may be year round. When it is harvest time, many farms are looking for seasonal labor. Scores of Midwest teens have spent their summers detasseling corn, for example. If you live in an area with nearby agriculture, look for outdoor opportunities. You may be able to offer your services to neighbors in the winter to assist with snow removal directly. Or, contact local snow removal services to see if they are hiring; the advantage of working with a service is you don't have to market your services. If you love working with animals, look for a gig as an assistant caretaker at the zoo. You'll most likely do a lot of enclosure cleaning, but you will also have the chance to learn about and interact with some of the less dangerous critters. Other jobs you might be asked to do include face painting and animal crafts with kids at the zoo. For some families, putting up and taking down holiday decorations feels like a bothersome chore they don't have time for. That's where you come in. Whether it's Christmas, Halloween or Easter offer to decorate the inside and/or outside of busy families' homes for a small fee. Look for older neighbors or working parents with kids as your first clients. Use their decorations and take care of the hard parts, leaving them some simple decorating to do if desired. If you are great at baking and decorating cakes or cupcakes you might be able to turn it into a lucrative side job. Offer to make kids' birthday cakes or desserts for other casual events. Start by making a couple for friends for free. Take pictures of your finished product and get your friends to give you reviews on social media. If you're successful, you could even open a booth with fresh baked goods at your local farmers market. You've probably seen those December news stories where thieves are stealing packages off other people's porches, especially near Christmas. Help your neighbors keep their gifts safe by offering to move their packages out of sight. Since you'll likely be home from school a couple hours before most working adults, you could either put the packages in their house for them or move them to a back porch or garage, so they're out of view from thieves. There are some websites that focus on part-time and full-time jobs that teens may be interested in. Snagajob.com has many retail and service jobs and you can search by ZIP code. Teens4hire.org lists jobs only for 14 to 19-year-olds. Coolworks.com is not specifically for teens; however, it lists available jobs at amusement parks, national parks, and other seasonal jobs. Most teen jobs are simply a way to earn money and gain work experience. You should still consider work that is suitable to your skills, personality type, and future ambitions. Contact employers in your community to inquire about job openings if you are ready to start working or do the legwork necessary to get your own small business venture going. After all, it's never too early to start preparing for the future.